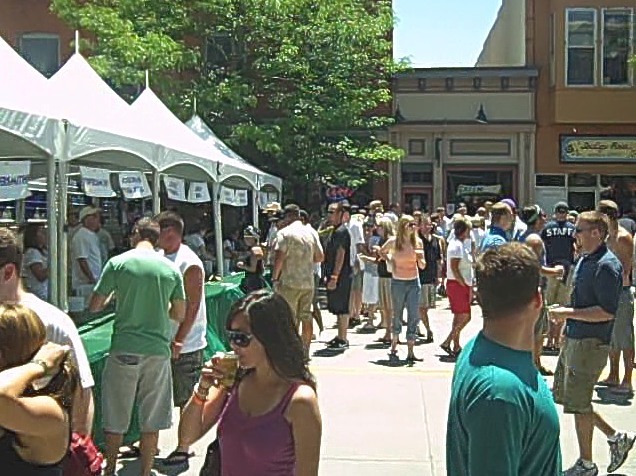 For the last 24 years, the city of Fort Collins, Colorado has been home to one of Colorado's favorite Summer beer festivals, the Colorado Brewers' Festival, and this year the crowds will return once again to this popular weekend event on June 22-23, 2013. Fort Collins has become quite the popular travel destination, not only for families, couples and adventurous singles on vacation from around the country and the world, but also for craft beer enthusiasts. Fort Collins has around 11 breweries in town, plus even more on the way. 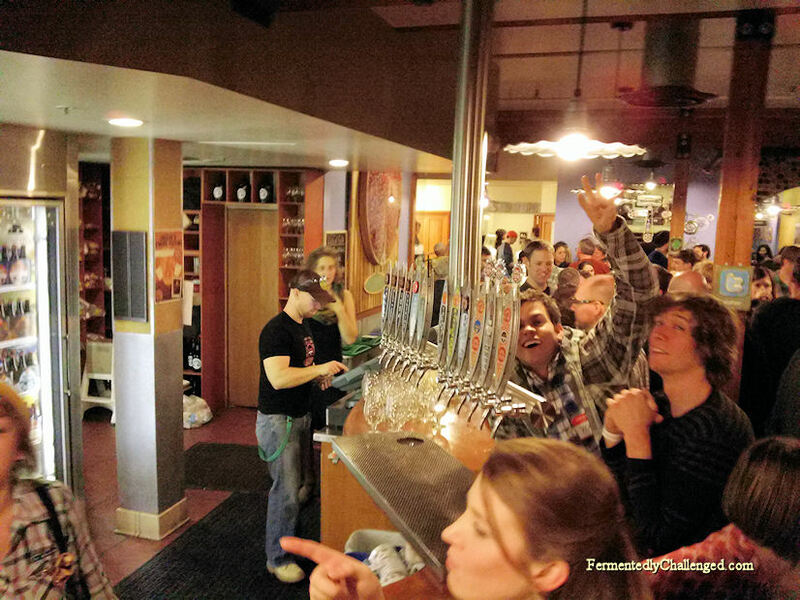 With the combination of a big summer beer fest and the popularity of the town's breweries and well known watering holes, Fort Collins has created quite the draw for itself, not only for the locals, but tourists as well. 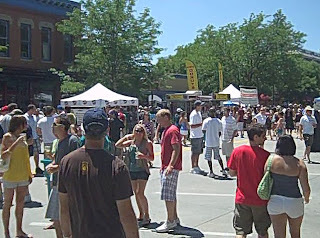 If you're planning to visit Fort Collins (FoCo) this summer, you'll need to know the best places to visit and where you can wet your whistle with some of the best craft beers in the nation. 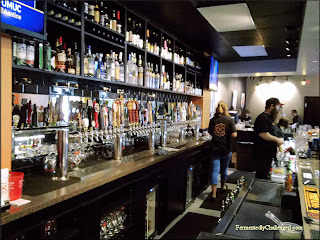 Fermentedly Challenged knows some of the best spots in town to check out while you're here. But be ready! Surviving a tour of the FoCo beer scene is not easy for the casual visitor. It normally takes about 3-days, about the right amount of time to experience the town during this season. That's why I've come up with this 3-Day Guide to Fort Collins and the Colorado Brewers' Festival. Admit it, you came to Fort Collins for the beer, right? OK, so perhaps you love the great outdoors, the Colorado lifestyle and love to ride a bicycle too, but tasting craft beer should at least be on your to-do list. Not only will you want to check out the beer and the festival, but you'll also want to eat well and have some fun at the same time. Here are some suggestions for a typical beer tour in Fort Collins during the summer festival season. You'll need at least 3 days in Fort Collins to get the complete sampling of most or all of the city's breweries and brewpubs. There's so many of them that you'll want to pace yourself. Here are a few important rules to follow if you plan to do a lot of brewery touring and tasting. 1st Rule of Touring FoCo - Use Sun Block - You're going to be walking or biking around town a lot and that sun can be intense. You're much closer to the sun here than at sea level, so goop up and cover your skin well. Don't know how many people's vacations have been ruined early on by getting sun burned. Sure, the beer won't make you feel a burn as much, but if you plan to get a good night sleep later that night - you don't want to be laying on a sunburn. Use at least SPF 30, but 50 is better. 2nd Rule of Touring FoCo - Stay Hydrated. And by that I don't mean by beer. You've got to drink a lot of water out here in this dry climate. Humidity levels here in Colorado are often in the teens and single digits. Plan to drink at least 64 ounces of water a day just to stay well hydrated. Yes, seriously! And, when you're touring the breweries, you'll always need to consume just as much water as you do beer. Trust me on this one. 3rd Rule of Touring FoCO - Be Well Fed - If you're visiting a lot of breweries, you'll need to get something solid in your stomach to help soak up that beer. Start out your day with a solid breakfast, plan to eat a modest lunch, and then enjoy a complete dinner at some of the nearby eateries. Later in this guide I'll give some suggestions on where to fill up. OK, now with these basic rules in mind, it's time to plan out some brewery visits and taste some beer! So first up, how do you get around town? 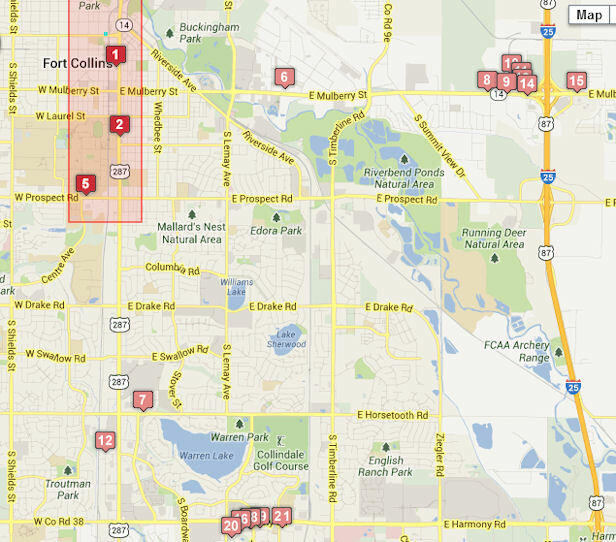 There are several ways to get around downtown Fort Collins (aka Old Town). For those of you in shape, walking or riding a bike is perhaps the best option, but there are other means as well. From your hotel, you can usually pick up a city bus (Transfort) and get to the downtown area. The best route to catch is the Route 1 bus. It'll take you from Front Range Community College and the Harmony Road area at College Ave all the way up north to the downtown in no time. Traffic can be busy along College and if you don't have a bicycle to whisk yourself along on the bike paths, public transportation will get you into the downtown area. There will be several stops along the way for shopping and dining, but eventually you'll be let off at the hub in Old Town. Once you're near the Old Town area, one of the best ways to get around is by using the Hops & Shops Shuttle Bus. For $10 a day, you can get on and off the shuttle at many of the local watering holes and breweries. The bus does hourly loops and it all starts and ends at the Town Pump at 124 N. College Avenue. On Fridays, the shuttle leaves from The Town Pump in Old Town at the top of the hour starting at 4pm and runs hourly loops through the 9pm last run. On Saturdays, the shuttle leaves starting at 12pm and runs through the 9pm last run. The shuttle will stop at around 10 of the best places to try a beer around town including: Pateros Creek Brewery, New Belgium Brewing, Odell Brewing, Fort Collins Brewery, Funkwerks, Coopersmith's Pub, Equinox Brewing, The Town Pump, Black Bottle Brewery, C.B. & Potts, the CSU Transit Center, The Mayor of Old Town and then back to the Town Pump again. For $10 a day, it'll save you a lot of walking. It's also available to board from most hotels along Harmony Road and College Ave including the Marriott on Horsetooth and the Hilton on Prospect - they will drop you off in Old Town and you can catch the brewery shuttle from there. Call 970.225.4801 for a hotel pickup. Taxi Service - If all else fails, call a taxi - Yellow Cab of Northern Colorado 970.224.2222. However, if you'd rather walk or bike, you can easily get to about a dozen or more breweries and beer bars all within a mile or so of each other, plus grab some great food along the way. You've finally arrived and picked out a hotel to your liking. Hopefully, you're somewhere close to the historic downtown area - that's where most of the action surrounding the breweries and the festivals are happening. Near downtown, you're within walking or biking distance to the majority of the breweries, and several city parks. There are many places to start your brewery tour, but if you plan to walk it then I have a suggested order of breweries to visit. You'll probably want to visit about 3 breweries a day at most, otherwise I guarantee your palette won't be able to distinguish between beers after your 3rd stop. Most places open anywhere between 10am and 2pm daily, but if not sure, check the brewery web sites first. Be sure to eat well before touring breweries. You'll thank me later. Day 1 - Start a bit east of downtown at Funkwerks at 1900 E. Lincoln Avenue. It's one of the furthest out from downtown and they specialize in Saison beers, some of which are barrel aged. Suggestion: try their Tropic King Saison. [Now hydrate]. 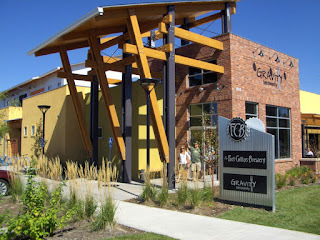 Day 2 - The first stop of the day should be New Belgium Brewery at 500 Linden Street. They open at 10am and the earlier you get there the better as they tend to get real busy later in the day. Sign up to take the tour a few weeks in advance (well worth it if you can get in). They've got a wide variety of Belgian-style ales and sours. Suggest trying any Lips of Faith beer. After that, head southwest to the end of Linden Street til you hit Old Town Square. There you will find CooperSmith's Pub & Brewing. This place serves up good pub food and a wide variety of house beers. They have two buildings, Pubside and Poolside. Hit pubside for the food and go to poolside for billiards, food and fun. Suggestion: try their Punjabi Pale Ale. After this, you have a choice. Either head north along College Avenue a couple blocks to Pateros Creek Brewing Company at 242 N. College Avenue for some specialty ales and a game of darts & foosball (try their Cache lat Porter), or head south to 133 Remington Street, about a block to Equinox Brewing for their beer garden, tap room and next door homebrew shop. Try their Space Ghost IPA if it's still available. Option: you can do both of those breweries if you still have the stamina. Day 3 - At this point you'll either need to ride the shuttle bus, or get someone to drive you as these last ones are a bit spread out. First stop should be Black Bottle Brewery at the southwest corner of College Avenue and Prospect Street. These guys have 40 taps. Usually around 6 of their own beers and the rest hard to find guest craft beers. They serve food as well for some great pairings. Then hitch a ride over to 1415 W. Elizabeth to C.B & Potts (aka Big Horn Beer) just west of the CSU campus for beer and a meal or appetizer. They brew next door to the restaurant. Suggestion: Disorder Porter. 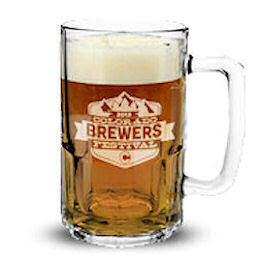 Last stop of the day you can choose between Pitchers Brewery at 1100 W. Drake Road for the food & beer, or you can head east out to I-25 and head north up to the Anheuser-Busch (Budweiser) plant and do their big tour there. Think you're done with beer in Fort Collins? Think again. Fort Collins also has some of the best non-brewery watering holes in the state. 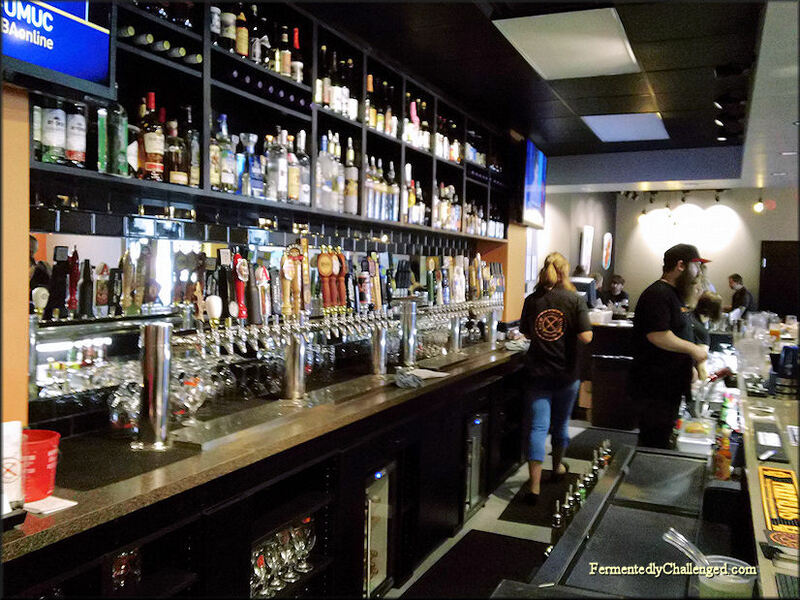 One of the largest is The Mayor of Old Town at 632 S. Mason Street with 100 craft beers on tap! Their selection is so big they have a scoreboard and a phone app to help you choose. The next biggest tap board in town is at Tap n Handle (74+ taps) at 307 S. College Avenue. And no FoCo stop would be complete without stopping at Choice City Butcher & Deli, a small downtown deli but with a killer beer selection. Not only on tap but in bottles as well. Some other craft beer destinations include: Cranknstein (beer and bicycles), The Crown Pub (a classic pub), Scrumpy's Hard Cider Bar (sandwiches & sweet treats too), and the Town Pump - it's the smallest & oldest bar in FoCo (101+ years). Snooze Eatery at 144 W. Mountain Avenue. My top pick for breakfast. This is billed as an A.M. eatery and boasts some of the best breakfasts and brunch in town. Expect a wait, but it's well worth it. Backcountry Provisions Delicatessen - for some good "take it with you" sandwich food for lunch, even breakfast, you can't beat these guys! - 140 N College Ave.
HuHot Mongolian Grill at 249 South College Ave. For lunch or dinner, this is one of my favorite places for when I'm in the mood for something different, something Asian and a bit spicy. Choose your own ingredients and watch as their cooks prepare it right in front of you. My favorite lunch spot. And of course lets not forget the annual Colorado Brewers' Festival itself. It's one of the biggest attended festivals in Northern Colorado and has dozens of Colorado breweries in attendance pouring some of the best craft beers in the nation. 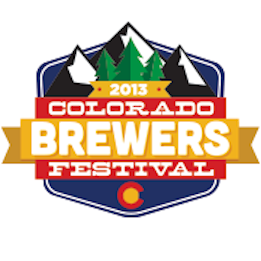 Note: this festival pours ONLY Colorado craft beer, so if you're looking for out of state stuff - you'll need to go elsewhere. 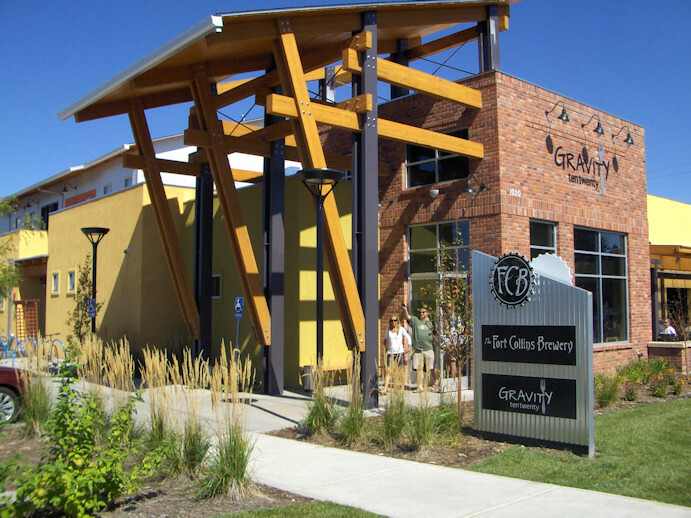 It's the last stop to get the complete Fort Collins beer experience. Assuming you survived the altitude, stayed hydrated, avoided sun-burn, and didn't wear out your running shoes, you'll have had quite the weekend. For a couple of other takes on how to spend a weekend in Fort Collins, I highly suggest reading the following blog posts from HeidiTown and The Brew Bros.